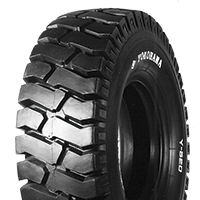 902L UWB	The Yokohama 902L UWB features innovative tread design that provides maximum traction and even weight distribution for stable tread wear. 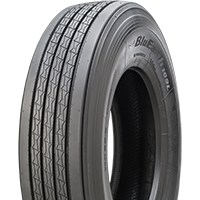 BLUEARTH 109L	BluEarth 109L: a super fuel-efficient trailer tire engineered to withstand the rigors of close quarters maneuvers. 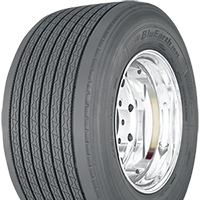 BLUEARTH 109L UWB	In today's ultra-competitive landscape, only the most fuel-efficient trailer tires will keep you ahead of the competition. 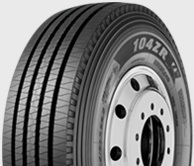 101ZL SPEC-2	The Yokohama 101ZL Spec-2 delivers amazing durability for impressive tread life and provides remarkable fuel efficiency to keep your costs low. 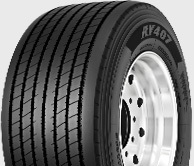 104ZR	The Yokohama 104ZR long tread life, greater retreadability and provides better fuel efficiency—to keep your costs low. 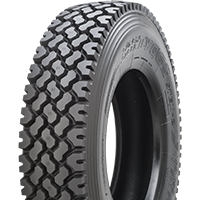 108R	After millions of test miles, the new 108R™ has proven itself to be a top-tier performer in its class. 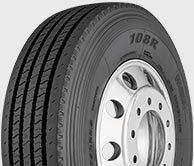 RY617	The Yokohama RY617 delivers wet traction and amazing durability with five-rib tread design and stone ejectors for impressive performance and treadlife. 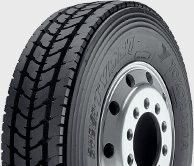 RY023	The Yokohama RY023 delivers high performance and durability under the toughest regional and in-city conditions. 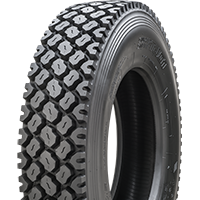 TY517 Ultra Wide Base Single	The Yokohama TY517 UWB features reduced rolling resistance for increased fuel economy and advanced casing technology for advanced dependability. 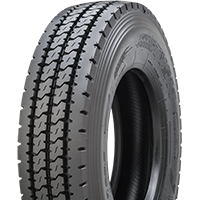 RY407 Ultra Wide Base Single	The Yokohama RY407 UWB features technological advances that allows better fuel economy and increases its retreadability. 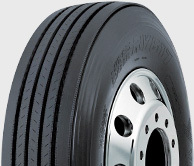 703ZL	The Yokohama 703ZL is a revolutionary drive tire that can drive your bottom line by lowering your operating costs for both fuel and tires. 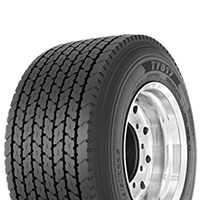 TY527	The Yokohama TY527 delivers supreme performance, reduced rolling resistance and long life to save costs for fleets over the long haul. 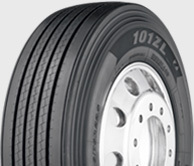 SY767	The Yokohama SY767 is built to get great mileage and long tread life in all road conditions and every season. 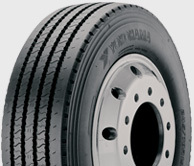 TY503	Open shoulder, 30/32 full-depth long haul drive tire that combines highway traction with durability. 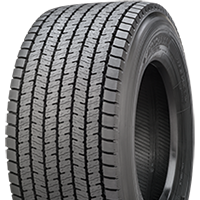 MY507	The Yokohama MY507 delivers incredible overall tread life mileage, improved retreadability, and longer overall casing life. 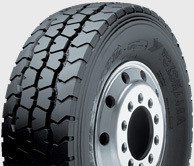 MY507A	The Yokohama MY507A is designed to provide outstanding durability and tire life in tough applications. 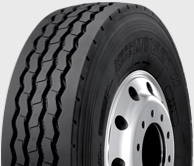 MY627W Spec-2	The Yokohama MY627W Spec-2 is one seriously heavy-duty tire that’s made to defy the rigors of daily use. 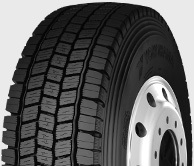 TJ01	Developed exclusively for Canadian logging, oil field and on/off road operations, this 33/32” maximum traction drive tire is our strongest reinforced casing yet. 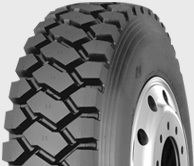 LY053	The Yokohama LY053 delivers aggressive lug design, outstanding traction and good mileage, making it a strong choice for on-and-off road surfaces. 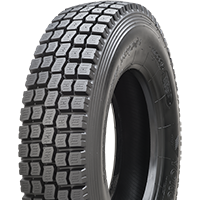 TY063	The original extra-deep tread, all-season drive radial for ultimate traction in the worst conditions - wet, mud or snow. 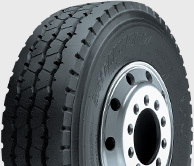 Y520	Industrial forklift tire with long wearing deep tread and good puncture resistance. 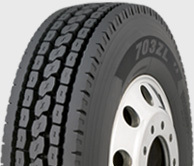 TY517 MC2	Specialized advanced tread compound technology (MC2) reduces heat, provides longer wear, and reduces rolling resistance–which lowers fuel costs.